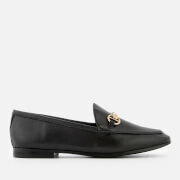 Women's 'Guilt' loafers from London-based brand, Dune. 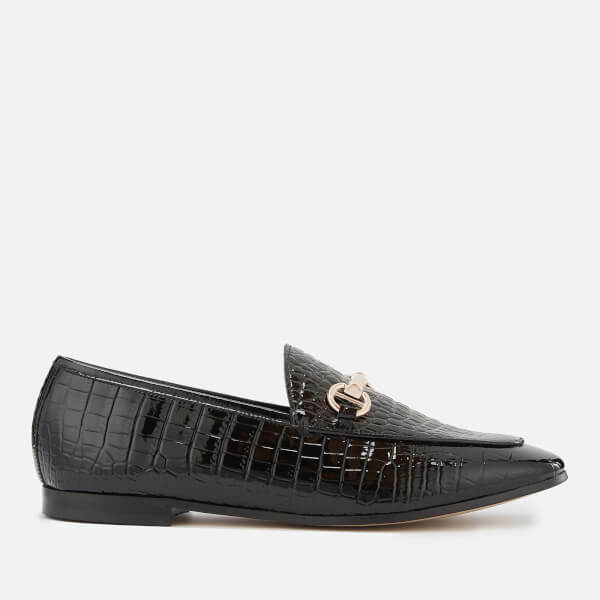 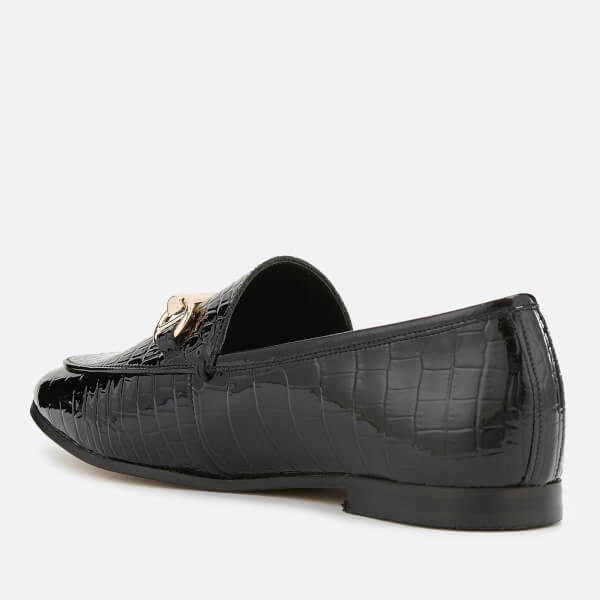 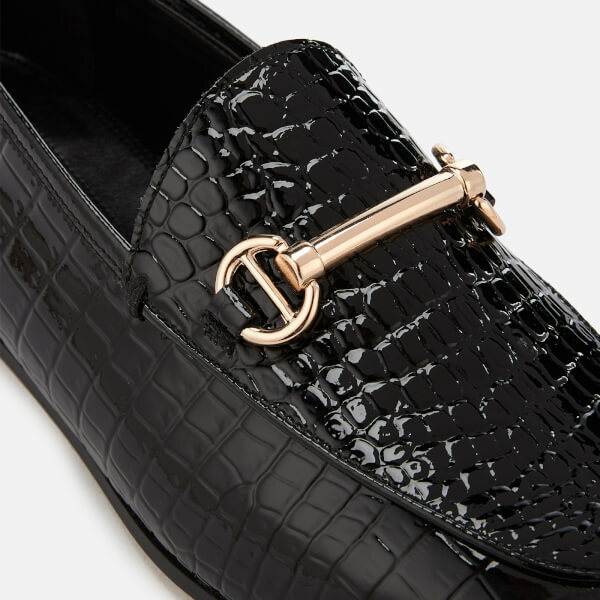 Crafted from patent leather with an all-over croc effect, the slip-on shoes showcase an almond toe, apron stitch detail and a sleek gold-toned metal bar across the vamp. 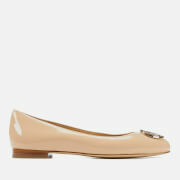 Set on a slim sole with a low stacked heel. 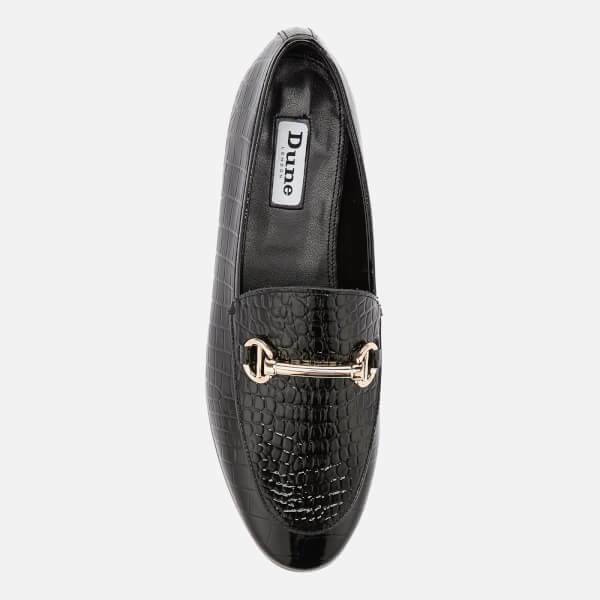 Branding to the footbed.